A friend of mine that I went to college with sent me an email last night. His neighbors near his lake house were frying chicken and had a grease fire. They unfortunately didn’t know the right way to put it out and are both in intensive care right now with serious burns. He attached this video that I thought I would pass along to all of you. 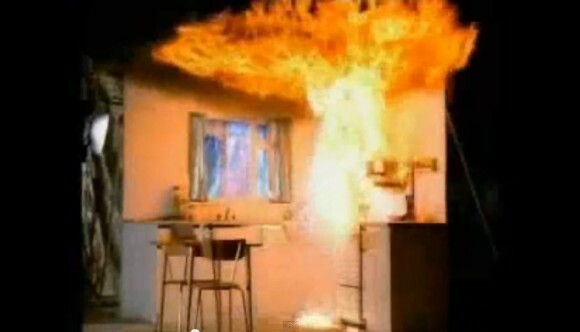 It shows the proper way to put out a grease fire. Please pass this along to all those you care about. It could save someones life. Culinary Tips, How To, Misc. Thanks for sharing this safety tip, Vicki. My son, who is a volunteer EMT and firefighter, sent me something similar last year.